Nancy L. Ruther is Principal and Founder of Gazelle International, a non-profit helping innovative university leaders break out and harness technology to expand access to high quality international higher education. Nancy is currently advising the University of Albany’s new online International Education Management and Leadership Masters and has guided the Connecticut Community Colleges internationalization effort with CT CLICKs modeled on SUNY’s COIL and other virtual exchange efforts. She also serves as Senior Fellow in Higher Education and Strategy with the Yale Women Faculty Forum helping re-energize their research-based advocacy program and faculty membership. In senior leadership with The MacMillan Center for International and Area Studies at Yale University, she grew budgets from $3 to $40M, kept Yale in the winners circle with Title VI grants and developed degree and certificate programs, expanded language teaching, developed faculty and graduate student exchanges and collaborations, managed scores of visiting faculty and competitions for student field projects, fee-based programs as well as outreach to the larger K-12 and college education communities. She also has developed simple, effective approaches to assessing the impact of international higher education, with a particular eye to graduate and professional students. For expanding educational exchange and partnerships, the French government honored her with the Chevalier des Palmes Académiques. 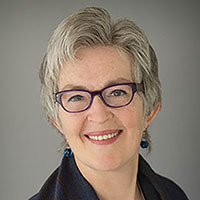 Her longstanding research and advocacy interest is the interaction of federal policy and the international capacity of the U.S. higher education system, especially the HEA Title VI Act impact on building and sustaining international, area and language studies in the curriculum and research agenda. Her doctorate is in higher education and public policy from the University of Massachusetts along with MS Agricultural Economics (Cornell) and a MPIA in International Affairs and BA Latin American Studies (University of Pittsburgh). In addition to teaching at Yale, Columbia and the University of Connecticut, she has worked as a consultant in overseas development and strategic management and as a management trainer and researcher in Costa Rica, Ecuador, Guatemala, Chile, Ghana, Pakistan, Portugal and Thailand among others. She began her career as a foreign service officer with the U.S. Agency for International Development serving in La Paz, Bolivia. She speaks Spanish, chats in Brazilian Portuguese and loves to say “hello” in any language! To learn more about Nancy Ruther and about Gazelle International, please click here.